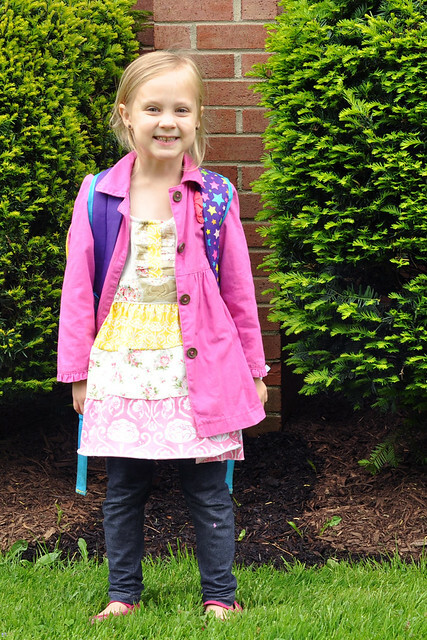 Nine short months ago, I dropped Liliana off for her first day of preschool. Although I knew Lily would be in very capable hands, it was still difficult to let my baby go! 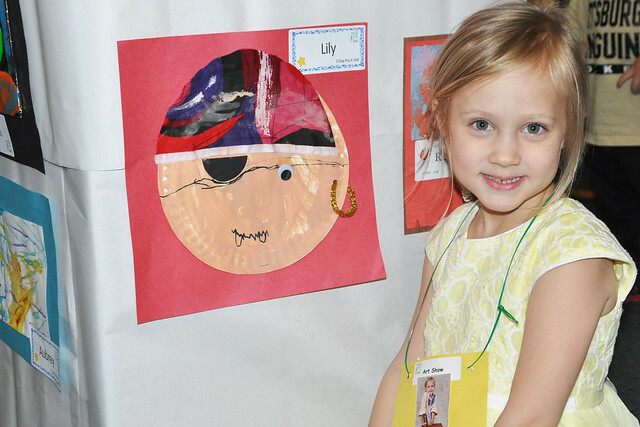 Just as I expected, Lily thrived in preschool. 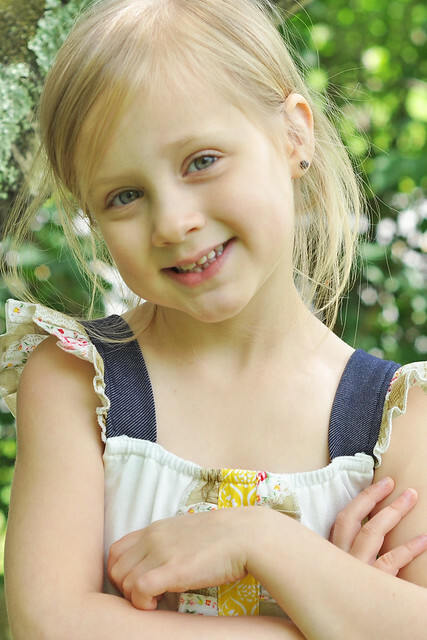 She made so many friends, she adored her teachers and she was excited to go to school every single day. She had a year full of fun and made some wonderful memories! 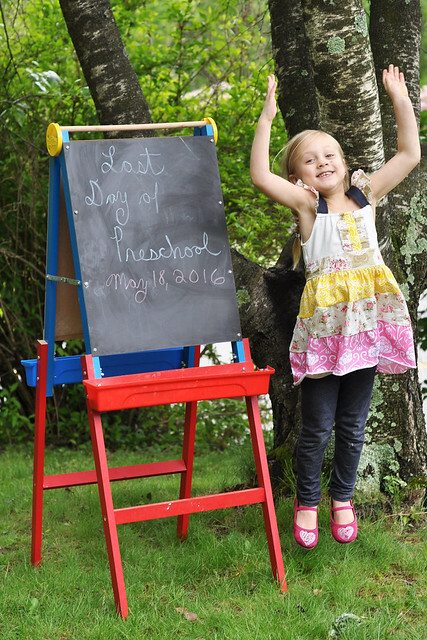 When Lily started school, the end of the school year seemed so far away. But just like everything in life involving kids, the months flew by. Before we knew it, the last week of school had arrived! Lily's school does not have a graduation ceremony. 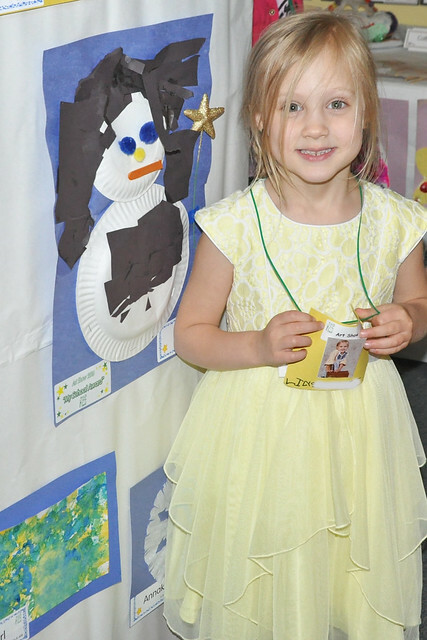 Instead, they have an end of the year art show and music performance, and it is every bit as special! 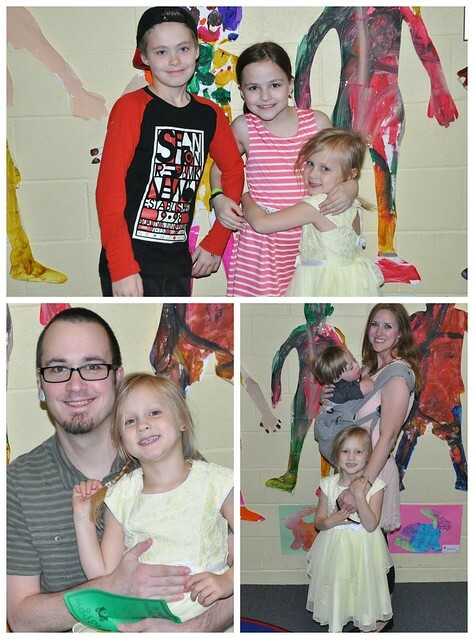 On Monday evening, after Lily's second to last day of school, our family attended Lily's Preschool Art Show! Lily's preschool really puts an emphasis on arts and crafts, which I love! They explore a variety of techniques and they do a project of some sort each day. Although half of those projects come home throughout the school year, the teachers save their best pieces for the Art Show. After Lily gave us the tour and showed us her special works of art, it was time for the performance. It's evident when you meet Lily that she got the performing gene from Grant and I. This kid is destined for the stage! Until then, she will keep her family entertained! We attended the same art show with Dylan and Lexie, so this was our third time around. We loved this art show every bit as much as the first two! 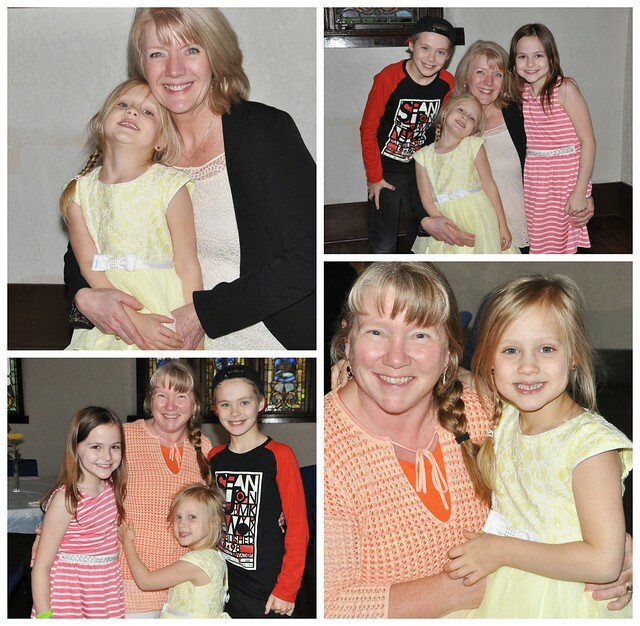 Lily was blessed to have the same amazing teachers that Dylan and Lexie had. Lily's head teacher is retiring this year, so even if we push for inclusion for Liam in two years, he will only have one of the teachers. We are so thankful Dylan, Lexie and Lily were able to have such an amazing teacher to start their school years and we will be forever thankful for her dedication. 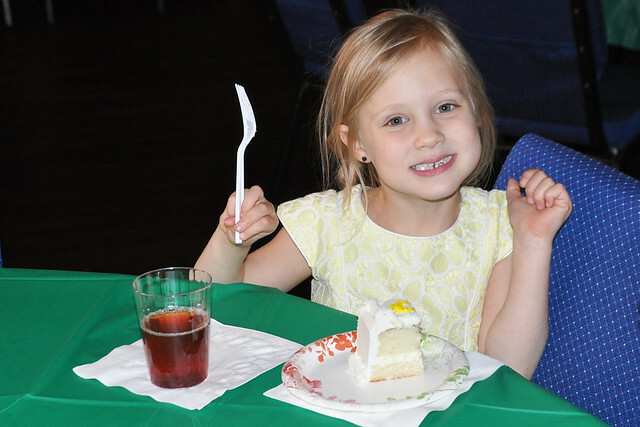 We ended the evening by celebrating with cake and drinks with the rest of Lily's class. It was a great night with our special girl! 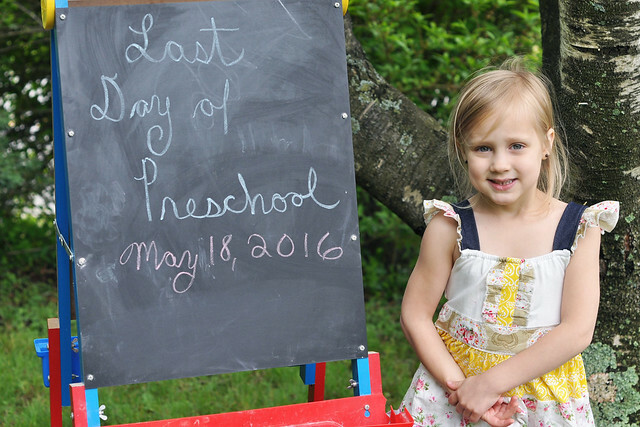 On Wednesday morning, I dropped Lily off at preschool for the very last time. As I pulled away from the school, the tears started falling. Liam will probably be attending the IU preschool below Lily's preschool, but Lily was most likely our last child to attend that particular preschool. We had 3 children go through the program, so it was definitely bittersweet knowing it was the end of that journey for us! When I picked her up after school, she was officially a preschool graduate! 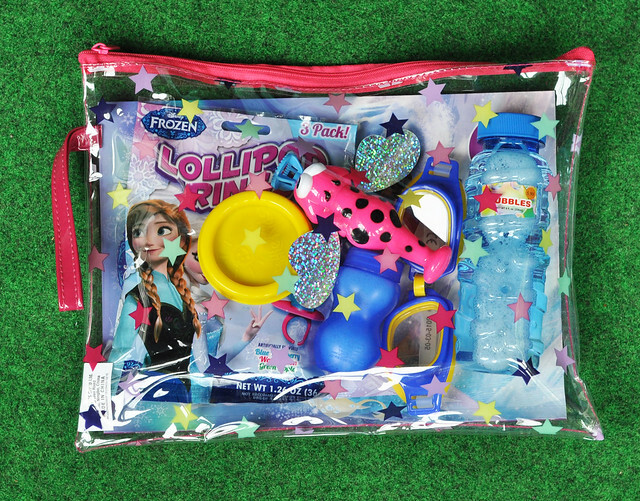 While she was at school, I assembled a little Summer Vacation goody bag for Lily! After she got in the car, I gave her the surprise! It was good timing. 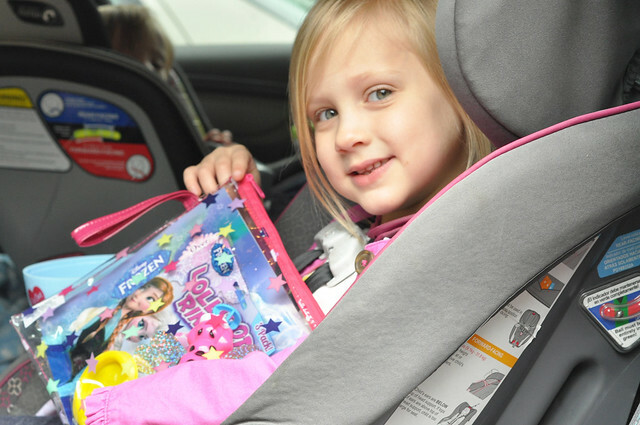 Before we even pulled out of the parking lot, Lily pouted and said, "I miss my friends and my teachers!" 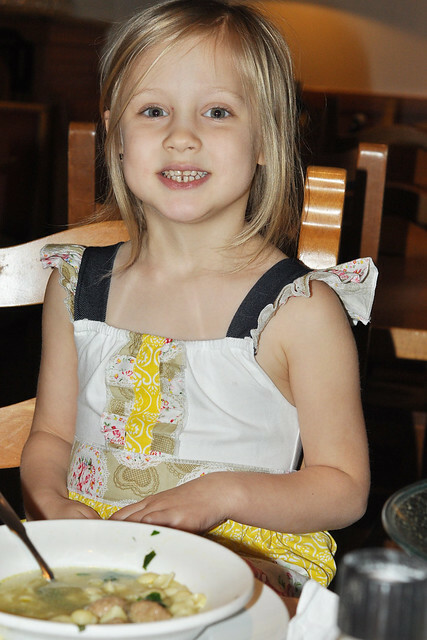 The Summer Vacation goody bag was a great distraction, along with lunch at her favorite restaurant: The Olive Garden! We returned home with a stack of end of the year Preschool items. Along with a handmade art folder filled with all the special pieces from the Art Show, Lily also brought home the incredible Memory Keepsake binder, which documents the entire year including photos and schoolwork, and her signed copy of Oh, The Places You'll Go! She already looked through everything dozens of times, so I know she'll love having these one day! We ended the school year with our usual last day of school photoshoot! 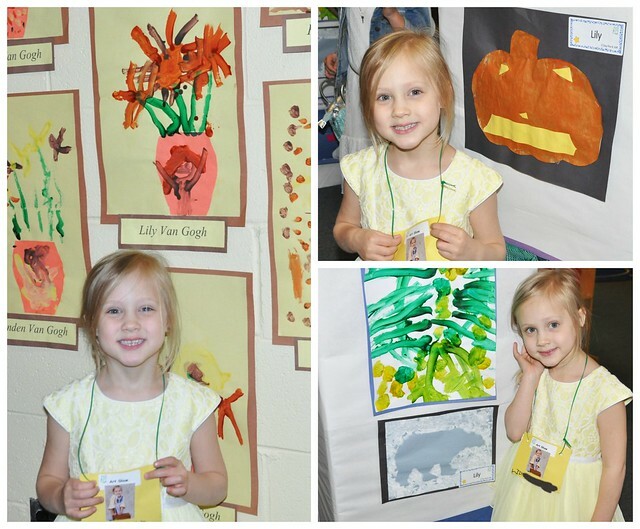 Lily had an amazing year in preschool! I'm so proud of how hard she worked and I'm so happy that she loved it so much! 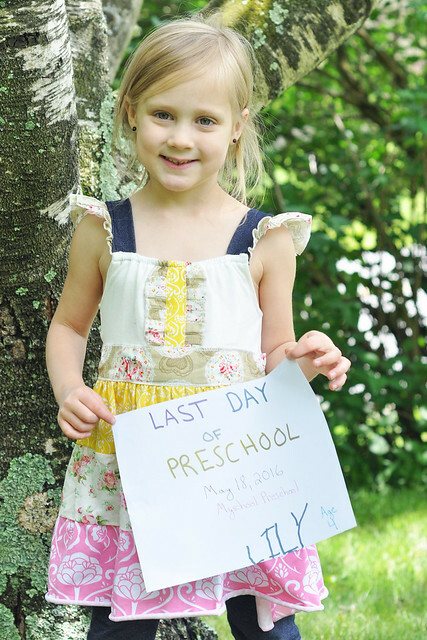 It's hard to believe Lily's year in preschool has come to an end. 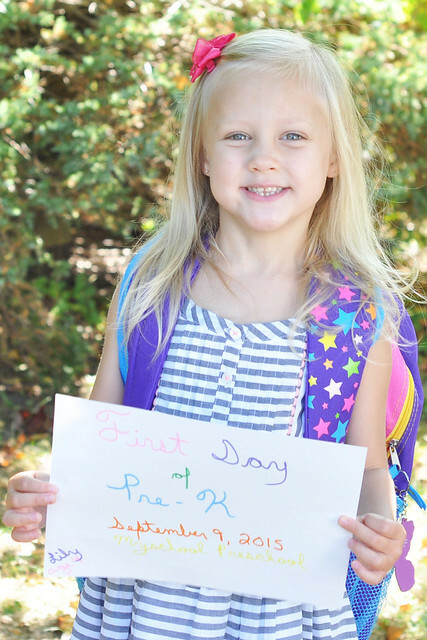 Before we know it, it's going to be her first day of Kindergarten! And I'm going to be a sobbing mess! Aww!!! Why is this always so tough? 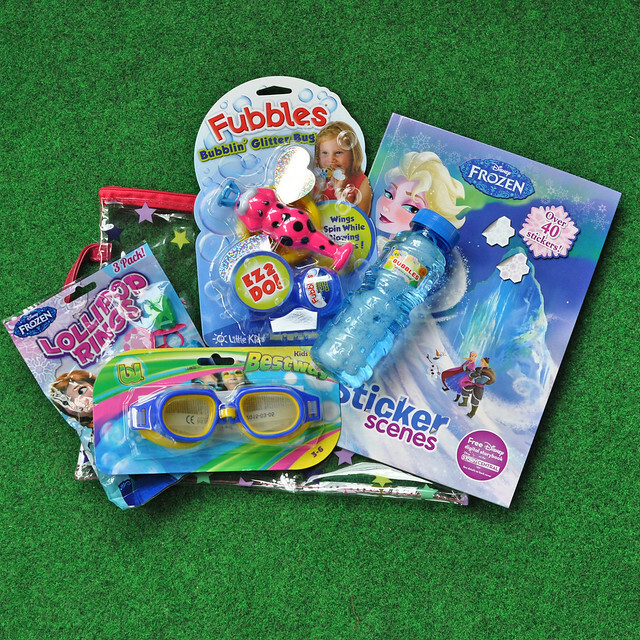 The kids bounce through with flying colors and we mommas struggle. I love that she already missed her teachers. Sweet girl!! Congratulations to your sweet girl! I know you guys are so proud. That's so funny that her favorite restaurant is Olive Garden... usually kids pick Chick-Fil-A or McDonalds. That's awesome that she wanted OG! And OMG, girl, I had no idea that they had a graduation edition of Oh the Places You'll Go!!!! We've had every teacher sign a copy of that book for each of our kids since they were born, but I had no clue that they had a graduation edition. Dang! She's so cute and man does time fly! Her dress is super cute. Preschool does go fast! What a change just the school year makes! Those last day of school pictures are so so sweet. I cannot wait to take Liam's next week and compare the first and the last day! Wow! First of all Lily is ADORABLE!!! So cute! Secondly, I am so impressed her preschool made that binder and gave them the book. Where did you get the clear pouch with her surprises in it? It's super cute! 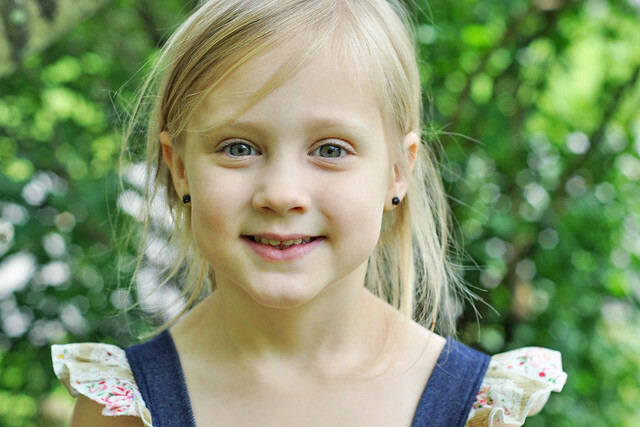 She looks so much like you! I love the picture of her jumping in the air. So cute! I can tell by the ambitious look in her eye she is ready for kindergarten! Hope you guys have the best summer ever. Congratulations to Lily! Her preschool seems WONDERFUL. Where does the time go? I know she'll enjoy the summer with you--what an awesome surprise. Such fun and sweet memories of a great year. 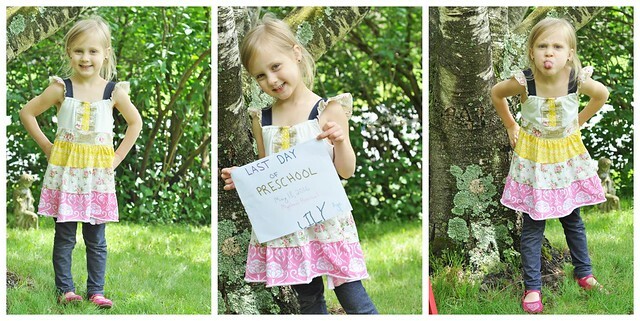 I can't believe our little girls are going to start Kindergarten in the fall #allthetears. 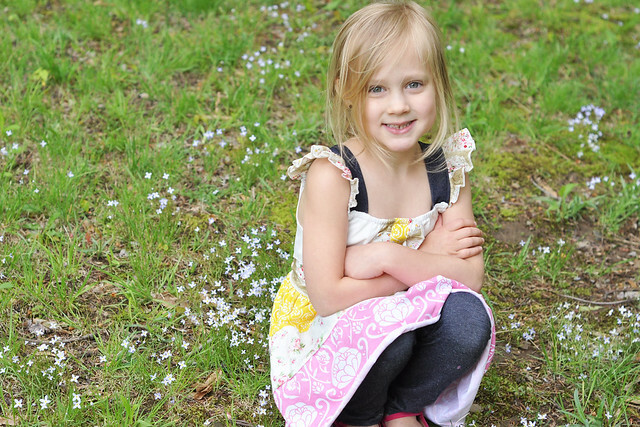 I can't believe she is old enough to graduate preschool!!! Yay! Congrats to Lily! 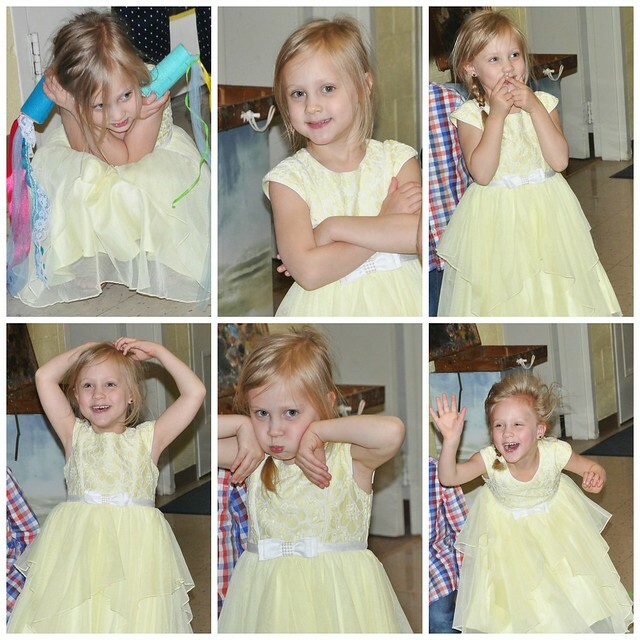 I adore the pictures of her in that yellow dress - so, so pretty!